I spent most of my career running businesses, with over 2/3 of that time dedicated to the pollution control industry, where I bought a small company (it was me and a part-time secretary) and grew it nicely over a period of years. Having suffered significant tragedy, I experienced conversion and felt a real call to leave the commercial world and get into ministry. 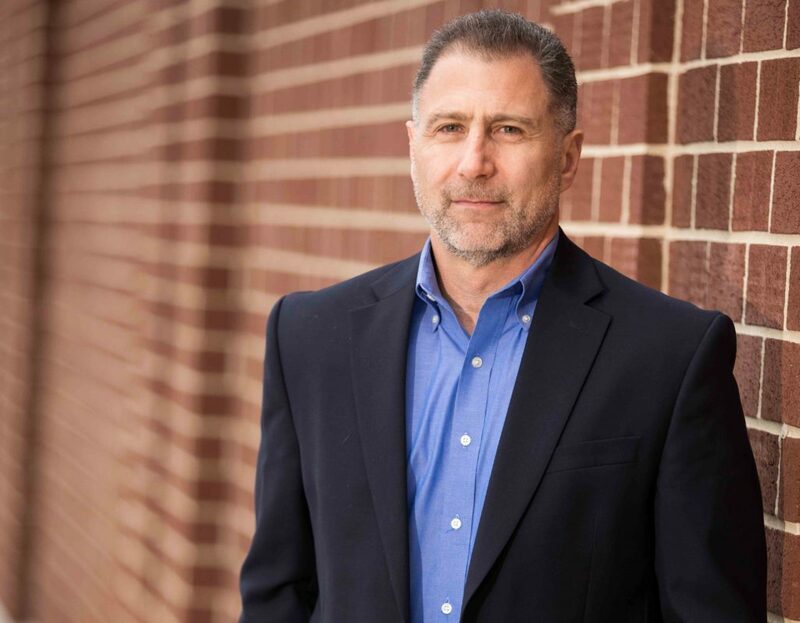 Joining Franciscan University of Steubenville in 2012, I head up its Conference Ministry, leading a team of 13 in the office, 11 regional partners and their staffs, and close to 2,000 volunteers and student workers. Given what I’ve learned and how the message resonates with so many, all by the grace of God, I’ve become committed to helping others, addressing a number of topics (please see below), including as an instructor for the Master of Leadership program at the University. 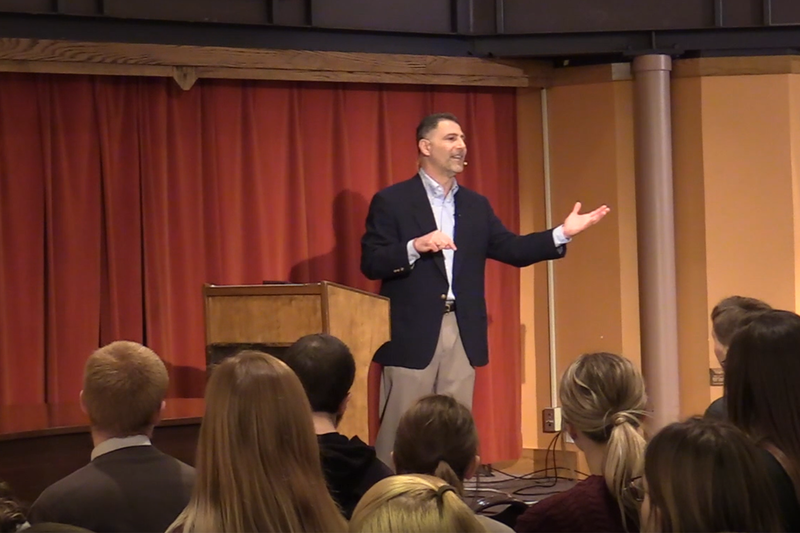 I have spoken publicly for more than 20 years, the last 10 of which on faith-based subjects. In addition, I blog regularly and have a healthy following via both email and social media. I am married to my best friend, Cyndi, and have three adult children, two sons-in-law, one soon to be daughter-in-law, and a granddaughter. Cyndi and I live outside of Pittsburgh, PA., where our passions are faith, family, health, and fitness. I speak on topics that are real life issues for most people, always tying our faith in as a meaningful (most important) part of the solution. I would be happy to customize my presentation to meet your audience’s needs. My goal is to achieve the outcome you are desiring. Topics I most frequently speak on include the following. I can present any of these as a keynote, workshop, or in half or full-day seminar style. 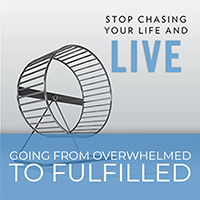 Going from Overwhelmed to Fulfilled – it doesn’t matter who we are or what we do; most people are overwhelmed. In this talk, I identify how we become overwhelmed and how to overcome it. 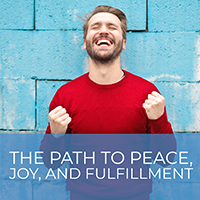 The Path to Peace, Joy, and Fulfillment – first identifying why we don’t experience these things, I take the audience through the process of how to achieve them long-term. We Are All Made for Greatness – it’s Scriptural….God made each of us for Greatness. I help people understand this fact both intellectually and emotionally, sharing with them how to find and live it in their lives. 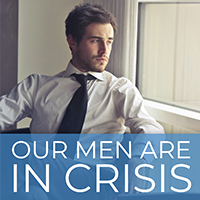 Our Men are in Crisis – just a little bit of research will indicate how significant the crisis is. I discuss the reasons why and what can be done to rectify the situation. 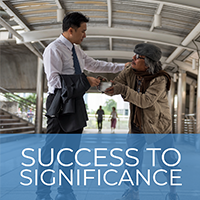 Success to Significance – so many people spend a lifetime running the race, to then someday wonder what life is all about. I give witness as to why this occurs and how to live a life of significance. 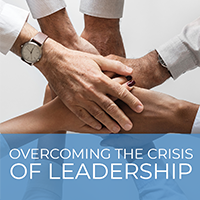 Overcoming the Crisis of Leadership – whether the commercial world, government, or the Church, we have a crisis of leadership. Given both my business experience and spiritual journey, I speak to the causes and the remedies. 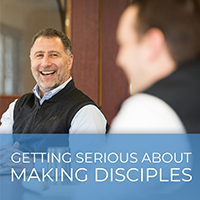 Getting Serious about Making Disciples – Jesus very specifically tells us in the Great Commission to “make disciples”. Not a mere suggestion by our Lord, I speak to why this is so important and how to do it (based on extensive research). 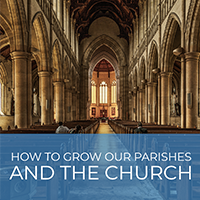 How to Grow our Parishes and the Church – recognizing that Parish life is central to our faith, my wife and I have been part of the Parish Revitalization movement since 2015. With lots of lessons learned, my talk speaks to the things that have worked and why. 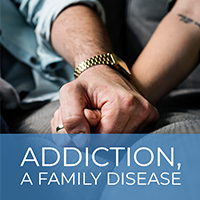 Addiction, a Family Disease – having lost my first wife to addiction, I speak to the family aspects of the disease and the fact that there is a road to recovery for everyone. 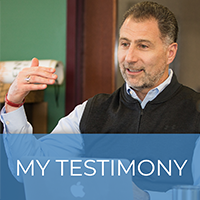 My Testimony – in compelling fashion, I share my life’s story, the great highs and the great lows, including my conversion and the significant lessons I learned from our Lord. I can also customize the presentation to the desires of the event organizer. Others can be found at this link. Prompt, professional response to your phone calls and emails. 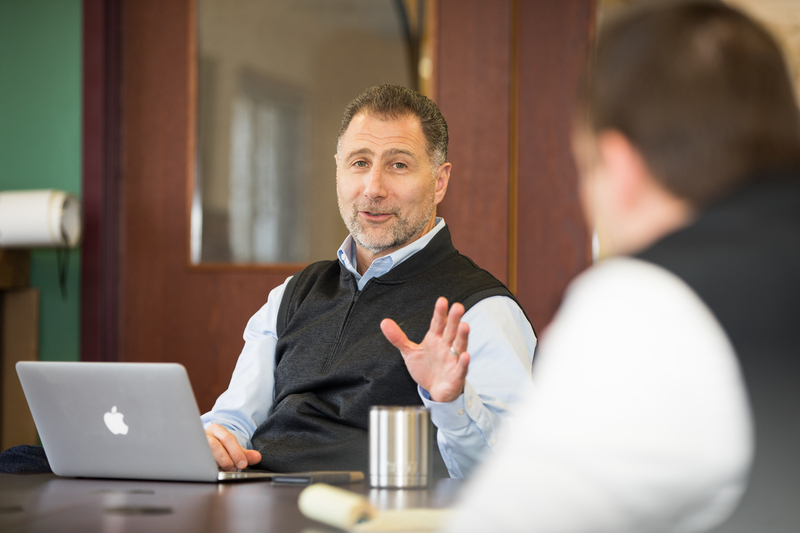 A personal phone discussion with me prior to your event, so that I can best understand how I can serve you and your audience. Advertising of your event on my blog and social media channels. A professionally prepared, compelling presentation, focused on achieving your objectives for your audience. A customized handout, exclusively created for your attendees, that relates specifically to my presentation. Follow-up communication after the event from me, to make sure I met your expectations and to receive any critiques you may have. My absolute commitment to helping you make your event the very best it can be; giving you 113% effort on my part. Thank you very much for considering me for your event. You can take the next step by checking my availability. Just click on the button below and I will get back with you right away. Thank you for considering me as a possible speaker for your event! Please fill out the form below and I will get back to you very shortly.